Global warming is killing The Great Barrier Reef. An Australian Government advisory panel have reported that almost 50% of the reef’s coral died due to mass bleaching in 2016 and 2017. They have also advised that the reef will decline further unless global warming is maintained below 1.2oC above pre-industrial levels. Recent analysis suggests a 1% chance of limiting the global temperature rise to 1.5oC. Thus, it appears that The Great Barrier Reef is destined to be a big, fat, tragic canary in the global warming coalmine (fossil fuel allusion intended). The last of these, known as Stratospheric Aerosol Injection, offers a relatively cheap way to rapidly reduce global temperatures. Its effectiveness has been proved by volcanic eruptions. For example, sulphate aerosols thrown into the stratosphere by the 1991 eruption of Mount Pinatubo reduced average global temperatures by an estimated 0.5 oC. 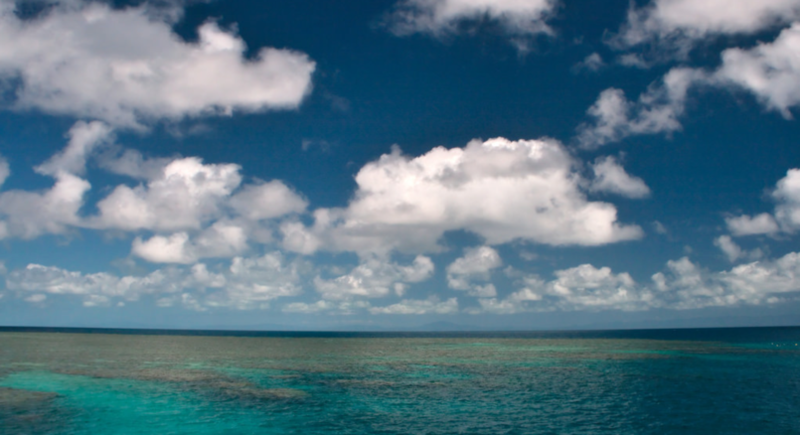 What are the implications for cloud brightening over the Great Barrier Reef? To engineer the climate or not…when will that be the question? Previous Previous post: Cancerous Carbs… Are Carbs The New Cigarettes? Thanks for the feedback Emma. Climate Engineering does present a dilemma, especially as rate of species extinction is ramping up due to climate change across the board. Clearly the best option is to just rapidly reduce greenhouse gas emissions. I (like most it appears) had never heard of this process and couldn’t have imagined its viability or application. Really well written and researched. What an interesting technology, thank you for sharing this! It’s an area I’m not that familiar with, but still care greatly about and you have explained this concept well for “non-climaticians”. I like particularly how you showed both sides of the coin and left it to the reader to ponder and decide. Thanks for the comment Evie. Note that there is some great research happening in this space (climate engineering governance) here at Melbourne University. What a thought-provoking piece! For someone who has never heard of this technique, I found this article engaging and efficient in explaining what is evidently a grey-area in climate science. I also find the lack of governance framework you mentioned quite interesting. Upon further reading, I’ve noticed more often than not the frameworks in place are non-binding. Even the ‘Convention on Biological Diversity (CBD)’ conference back in 2010 allegedly urged states to ‘avoid climate engineering that may affect biodiversity’ but in this case, science confirms this would clearly be of benefit to the GBR. Hi Sam. Thanks for the feedback. If you are interested in finding out more, the links in the blog might prove to be useful. Also, I wrote an essay on this last semester. If you want a copy, let me know. Interesting idea. As someone who studies corals in relation to climate change, I’ve never even heard of this. Inspired to read more about the subject. Your paragraph structure also made this easy and engaging to read.